Eligibility: Must be female age 40 by or March 31 of the year you apply, U.S. Citizen, demonstrate financial need, enrolled in an accredited college technical school within 6 months of the scholarship award date. Can be used for part-time or full-time study. Award can used for any course of study at a public or private secondary school, college, university, community college or technical program. The scholarship will be payable to the institution and can be applied towards tuition, fees and books. Eligibility: This award is a grant and is for dependent children of Soldiers on federal active duty, retired or deceased while in active or retired status. To qualify as a dependent, you must: be under the age of 23 for the entire academic year, be registered in DEERS and unmarried for the entire academic year. In addition to qualifying as a dependent, you must maintain a cumulative 2.0 G.P.A. on a 4.0 scale and be a full-time undergraduate student for the entire year at an accredited school as outlined by the U.S. Dept. of Education. The award will be split evenly between fall/spring or terms/quarters. Funds can be used for tuition, fees, books, supplies, room and board either on or off campus as requested by award recipient. Eligibility: The OSEAP provides financial assistance to spouses who are residing with active duty Soldiers in Overseas Commands. The awards are provided to eligible spouses who have financial need and would like to pursue educational goals and classes at an approved educational center. Awards cannot be used to pursue second undergraduate courses or graduate level courses. Also, spouses who are “Active Duty” Personnel are not eligible. In addition to approved courses at education centers, awards may also be applied to approved online schools as listed in the Defense for Non-Traditional Education Support (DANTES) catalogues, GED, CLEP, ESL or TOEFL. Contact for application details and guidelines. Eligibility: The SSEAP is a need-based education assistance program created in order to provide spouses of active duty and retired Soldiers, and widows(ers) of Soldiers who died either on active duty or in a retired status, and residing in the United States, with financial assistance in pursuing educational goals and courses. “Active Duty” military personnel are not eligible. Contact for additional details. Eligibility: All Student athletes are eligible. It can be any sport. Must be a high school senior or attending a post-secondary institution. Must answer short essay. Contact for more details. Award: Varies up to $6000 per year x 4 years. Number of Awards: Varies on funds available. Eligibility: Purpose of this scholarship is to assist Oklahoma residents to pursue chiropractic study at accredited out-of-state schools. Must be a resident of Oklahoma for at least 5 years prior to application, enrolled in or accepted into an accredited chiropractic school, must maintain a 3.0 GPA to continue to qualify. Eligible applicant may be able to renew up to 4 years. Eligibility: Must be female, 21 years or older when applying, Payne County resident for at least 1 year, overall G.P.A. of 2.5 or higher, enrolled at either Oklahoma State University or Meridian Technology Center for semester of award. Eligibility: U.S. Citizen, 3.0 G.P.A., full-time student at a post-secondary institution, female, submit a 300 word essay. Funds can be applied towards undergraduate or graduate degree program. Eligibility: The scholarship is awarded to two applicants who are pursuing undergraduate or graduate studies at an accredited institution of higher education in the U.S., awarded to individuals who have demonstrated a commitment to community service or used the visual arts or media to convey culturally-appropriate health messages on behalf of a disadvantaged population. Eligibility: Purpose of the Dream Institute Scholastic Awards is to provide financial assistance to Oklahoma high school seniors with a learning and/or physical disability who are pursuing a higher education degree at an in-state college or university in Oklahoma the following academic year. Scholarship program can provide funds for tuition, fees, books, and academic (tutoring) assistance for full -time students. Eligibility: Applicants must be residents of Stephens County, Oklahoma, full-time student (12 credit hours+), must be sophomore, junior or senior status in college. Eligibility: Must be attending or planning to attend a 4-year college or university in Oklahoma, have financial need and demonstrate above-average aptitude for college work. PO Box 1 Tulsa OK 74193 Phone: (918) 586-5594 Contact Person: Mike Bartel, VP. Eligibility: Must be U.S. citizen., be in the top 15% in graduating class or score above the 85th percentile on ACT or SAT or accepted into a program of study at an approved educational institution in the state of Oklahoma. Must agree to teach in areas where there is a significant teacher shortage. Contact for more details and application guidelines. Eligibility: Fund was created for surviving dependent children of individuals who were killed in the 1995 Oklahoma City bombing and for the surviving dependent children of individuals who were injured in the Alfred P. Murrah Federal Building daycare. Funds can be used to pursue undergraduate study anywhere in the U.S. or graduate study within the state of Oklahoma. Applicants must be U.S. citizens and studying full-time. High school students are not eligible. Contact for more details. Eligibility: Must be single parent, female, demonstrate financial need, submit a personal essay and application. Applications are accepted from January to June. Eligibility: Must be enrolled in an accredited educational institution for the academic year. Contact for more details. Eligibility: Award is for residents of Oklahoma who are enrolled in an approved educational institution at least part-time. Must be a U.S. Citizen. Not open to high school students. Eligibility: The Oklahoma Tuition Equalization Grant (OTEG) program is a need-based grant program for Oklahoma residents enrolled as full-time undergraduates at Oklahoma not-for-profit, private or independent institutions of higher education. Applicants must be U.S. citizens, enrolled full-time, meet Oklahoma residency and income requirements, demonstrate financial need, fill out a FAFSA application, meet the institution’s academic progress requirements, cannot already have a bachelor degree or exceed 5 years of enrollment since first OTEG grant. Eligibility: Purpose of scholarship is to improve community quality of childcare by providing funds for teachers and childcare providers for the advancement of skills in the areas of childcare and early childhood development. Applicants must be employed in a one-star plus or above OKDHS or Tribal licensed child care facility with a minimum of 10 percent subsidy children at time of application; Be employed at a child care facility for three months before beginning coursework; and work at least 30 hours per week where teachers earn less than $12 dollar per hour and directors earn $15 or less per hour. Award: $1800-$5500 per semester. Student may qualify up to 8 semesters. Eligibility: Students in Oklahoma automatically qualify if they are a National Merit Scholar, National Merit Finalist or United States Presidential Scholar or if they achieve above 99 percentile on ACT/SAT scores or if nominated by a public college or university. For fall 2010, a sum of the ACT skill area scores totaling 133 is required. For fall 2010, a sum of the SAT critical reading and math skill areas totaling 1580 is required . Must maintain full-time enrollment and a 3.25 GPA. Out-of-state students may qualify. Contact for more details. Contact: llangston@osrhe.edu Academic Scholars Program, Oklahoma State Regents for Higher Education, 800-858-1840 or 225-9239 if calling from Oklahoma City. Eligibility: Applicant must be a U.S. citizen or permanent resident, a high school senior enrolled or planning to enroll or already attending an eligible four-year college or university participating in the U.S. Bank No Fee Education Loan Program. Applicant must be enrolled by September 2010. Winners are selected at random and notified by mail by mid-April. Eligibility: This renewable award is for Oklahoma residents attending an educational institution in the state of Oklahoma. Applicant must be a U.S. citizen and a full-time student. Not open to high school students. Eligibility: Eligible applicants are young women graduating from high schools located in south Oklahoma City and Moore. Includes the following high schools: Capitol Hill High School, Southeast High School, U.S. Grant High School, Westmoore High School, Moore High School, South Moore High School, Western Heights High School, and Santa Fe South. Applicants must also have a 2.5 GPA and attending an Oklahoma college or university as a first-time freshman the fall after high school graduation. Award: Recipients of this award will receive funding to obtain an associate degree from Oklahoma City Community College. The scholarship includes tuition, fees and books paid directly to the college. Eligibility: This scholarship was created in order to provide higher educational opportunities for women who do not have resources to attend a college or university. 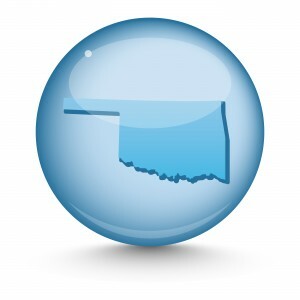 Must be primary household provider, have a High School Diploma or G.E.D., reside in South Metropolitan Oklahoma City, meet financial need requirements.